I grew up in Louisville, KY, and received a Masters Degree in Chemical Engineering from the University of Louisville in 1978. After graduation, I was a research engineer for several years, but began doing more computer-related work when personal computers became popular in the early 1980’s. As part of my job, I authored or co-authored a number of internal company reports as well as many papers presented at conferences. 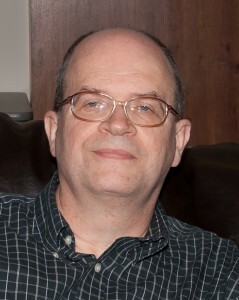 Apart from my job, I have written almost 40 articles for computer magazines and was a regular columnist for a computer journal for two years. Additionally, I have written over a dozen philosophical articles, three of which were published in a philosophy journal. I have authored a number of poems, some of which have been published. I have also authored three unpublished fictional short stories. Most of these writings can be viewed at my Web site, http://www.rcfinch.com . I have three published books. The first was a humorous philosophy book, “Beginnings to Endings: Philosophical Ramblings for Avoiding Global Destruction.” The second was a mystery romance novel entitled “Passion is a Harsh Taskmaster.” The third is a critique of the Bible and is entitled “God Is: Exploring the Nature of the Biblical God.” All three books are available in paperback and Kindle formats. I basically get an idea for something I am interested in and have a hard time getting it out of my head until I write it down. Before writing my first book, I had some humorous thoughts that I decided to type into my computer before I forgot them. I had no idea what would come of it. Over the following weeks, I realized the length of my writings was approaching book length. So, when I finished, I published it. The core idea for my novel came from a dream I had. I soon realized that with a few embellishments, I had the plot line for a book. So, I wrote and published it. I wrote my third book, a critique of the Bible, to simply get a lot of issues out of my head. My beliefs about the Bible had changed a number of times over the years, but I had recently settled on what I really believed after much reading and research. I was having a hard time remembering everything I had learned, so decided I needed to write it all down. This too became a book. Even now I have several ideas for additional novels that I hope to start on soon. This varies depending on the type of writing I am doing. My humor book was written in a free-flowing way with my thoughts guiding my hands in real time. I had no outline to start with. For my Biblical critique book, I mainly wanted to get my thoughts down, but realized ahead of time I needed to present the information in a structured way that somehow brought my disparate thoughts together into a solid whole. I finally settled on making each chapter about different attributes of God. Once that was settled, it was just a matter of deciding which attributes best represented the things I wanted to say and then categorizing my thoughts accordingly. I struggled a bit with how much planning to put into my novel since it required a totally different approach than did the more familiar non-fiction writings I had authored. I finally realized that for fiction writing I like to start with only a broad outline of the book. The details I like to write on the fly. I find that as I write the story, I get more and more inside the heads of its characters. I then realize that what I originally thought should happen really shouldn’t. I suppose that it becomes easier to create detailed outlines if you are writing a series about the same main characters, but I haven’t gotten that far in my fiction writing. I wouldn’t say that I converse with my characters. I think of it more as becoming increasingly familiar with their personalities and then being able to better articulate their actions and words so they remain in character properly throughout the book. First, learn how to write. By that I mean learn how to create proper sentences so it is easy for your readers to understand what you are saying. I have seen too many writings that were so difficult to read, I would just give up. This is not good if you want sales and repeat readers. Next, make sure you have a wide vocabulary. You need to be able to express yourself using a variety of words so as to break up the monotony that ensues when using the same words over and over and over and over and over and … Next, make sure you have an interesting topic to write about, but at the same time realize that you will never pick a topic that is interesting to everybody. Keep in mind that even if you have an interesting topic, you will lose your reader if you don’t present it in an interesting way. Reading other authors’ books that you find interesting can help you hone your own skills. Then finally: promote, promote, and promote some more. This is the area in which I readily admit I am weak. Whether you self-publish or publish with an existing company, you will have to depend on yourself to promote your book. Established publishers rarely spend much money on unknown authors. I realized early on that finding an established company to publish my books could take years, if at all. Around the time I completed my first book, the self-publishing industry was just getting off the ground. iUniverse would format your book, create a cover, and make a paperback version available on the major booksellers’ Web sites for only $99. This was too good a deal to pass up. However, with the advent of eBooks, Amazon’s Kindle publishing has come on strong, providing a very inexpensive way to get your book to market. They also have their CreateSpace division for providing more traditional readers with printed copies of your book. I currently use these services and have been very pleased. I would highly recommend these services to others. However, if you have the money, there are other self-publishing companies with packages that include various forms of promotion. They are probably fine also. I think it is quite obvious that the market will keep moving further in the eBook direction. eBook sales will continue to increase as print book sales continue to decrease. However, I don’t see paper books disappearing any time soon. There are still a number of advantages they have over electronic books, especially in the non-fiction arena. Even if printed books essentially disappear, they could very well have a resurgence just as vinyl records did. Also, more and more authors, even established ones, will move towards self-publishing and away from traditional publishing.